Selling through multiple channels is one of my preferred strategies in technology marketing. If done properly, it allows a company to fully exploit its expensive, hard-earned intellectual property to the maximum extent. One of the most popular channels (and one of my favorites) used to sell B2B software and hardware is the Value-added Reseller, or VAR channel. In fact, with a great many startup software and technology companies, building a VAR channel network to sell their companies products is the first thing they want to do upon releasing their first product. This is especially true when the founding management team primarily comes from a technical background. The thinking goes: “we are technologists who have created a great product. We don’t have a lot of experience selling or marketing–and most of the startup money has gone to and will continue to go to developing products. Why not just outsource by recruiting a bunch of resellers to market and sell their product for us?” Sounds like a great idea on the surface, doesn’t it? Unfortunately, there are few strategies that are more flawed and which have continuously led to failure than this one. 1) First of all, VARs DON’T market. At least not YOUR products, anyway (they market aggressively their own services). So the very first flaw in this strategy is that it is based on a gross misconception of what a VAR typically does. 2) VARs don’t create new markets. VARs are great at selling into established markets and further expanding already growing ones. But missionary sales: brand new markets, categories and products? Not so much. 3) They don’t SELL a wide variety, or a large assortment of products. In fact, VARs are focused on actively selling and supporting VERY FEW products–if they are even focused on “selling” products at all. 4) VARs aren’t really all that motivated by high product margins-although they will never admit it. 5) The individual VAR does not exist to help YOUR company make money. Now if you’re not a sales or marketing professional with experience working with the VAR channel, you’re probably very confused by the list just above. So what is it that VARs actually do? And why is it worth dealing with them at all?!!! I can’t tell you how many times I’ve heard some version of the quote above from software and hardware CEOs and other senior executives. 1) First and foremost, VARs are in business to sell their own HIGH MARGIN SERVICES. That is why they exist, and how they put bread on the table. 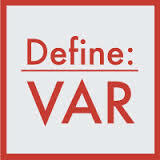 If you learn and remember only one thing about the VAR channel–this is it. This revelation may be discouraging to some product vendors, but you must understand and respect this above all if you hope to leverage this channel. The only exception to this is the VAR’s “core” product(s), which will be discussed later in this article. 2) VARs are very interested in all things that apply to their own vertical focus. Although it wasn’t so true many years ago, most successful VARs these days have a very tight vertical focus. 3) Many VARs act as “thought leaders” for their corporate customers. As a result they are very interested in “what’s new” in the market, so they can stay on top of trends and remain market experts for their clients. This means that they will sometimes spend a lot of time talking to you about your new product, but never find the time to actually “sell” it (even if sometimes they have the best of intentions). In the busy world of the typical small VAR, client demands and selling the core product and services usually soak up all available time. 4) VARs are also often used as “aggregators” of purchases by corporate clients. This way, the corporation can use a single vendor point of contact for their technology purchases, greatly simplifying their purchasing process. In this way they sometime will pass through a large amount of different products — but don’t confuse this will “selling”. It’s TOTALLY demand-driven commerce. The corporate client often will also leverage the VAR as an evaluator and validator of new products and technologies. This makes them a very important part of the purchasing chain for many corporations–even if you don’t think they’re “selling” your product. 5) If they put any real effort into “selling” products at all, it is usually into one of a very small number of “core” products that they have built their main service offerings around. If you aren’t a product that pulls high value services for the VAR, forget about getting high selling mind-share with the VAR. 6) As I mentioned in 4) above, when it comes to selling “non-core” products, VARs are almost completely driven by the demand they see in their installed customer base. They won’t often add in new products to their assortment that they don’t see a demand for, unless they are really techie, early adopter types. And these techies will often add a product, but never find time to actually offer it (let alone sell it) to their customers. Some VARs will sell ANY non-core product, but really are only filling demand from their customer base. 7) The VAR channel is EXCELLENT at fulfilling demand for great new products into their existing, installed customer base. If the product pulls service revenue with it, you might even get a bit of push! 8) VARs can also be an excellent proxy for a vendor in installing, configuring, customizing and offering first level support. This can enable a vendor extend its reach and to leverage the VAR channel’s existing infrastructure, rather than building out a large field or services organization (which depending on the product category, may not even be feasible). 9) If you are successful in building an active VAR channel, it will likely have a positive impact on your overall business – not just the incremental sales through VARS – via having many additional places in the market where your product is available and discussed. This effectively increases your brand presence in your target market. So given the points outlined above, what are the “best practices” to follow when you are seeking to build and leverage a VAR channel? *Always sell your new product directly in the beginning. Even if you don’t plan to build a large direct sales force and sell a lot of product directly in the long run, it is critical to establish that the product works, and can be sold successfully. If you can’t sell your own product, no VAR will be able to either (and few smart ones will be willing to try). De-bug and systematize the sales process, make sure that your end user price points are right, and build a small reference account list–at a minimum. Only at this point should you begin to seriously approach VARs to distribute your product. *Treat VARs like the valued business partners they should be. If you do sell direct, don’t “steal a deal” and take it direct just to make a few more points on one sale. Nothing is more short-sighted. Not only will this VAR not do business with you again, but in any given vertical it’s a small community–and word gets around fast. You risk becoming a pariah in the VAR channel, and losing all the hard work that you put into building your network. My philosophy is: when in doubt, cut the VAR in on the deal. If you don’t feel he’s adding any value to your business, eliminate him from your network later. But don’t use your low opinion of a particular VAR to convince yourself to cut him out of the deal. This may seem counter-intuitive, but your market reputation is at risk. You risk cutting off your own nose to spite your face. *Be realistic in what the VAR channel can do for you. If you have a non-core offering, be happy that they “make it available” to their customer base in their catalog, rather than expecting them to sell it actively. Remember, VARs are key influencers of their clients; just being available to endorse your product as something they offer to a customer who hears about the product elsewhere can be very valuable. *Provide a reasonable margin, but don’t “throw margin away” thinking that it will motivate a VAR to actively push your product–if they otherwise would not. It won’t work, and you’ll just be giving away money for no reason–which you could use creating demand instead. *For most products, make sure that you don’t over-distribute by signing up more VARs than your market will support. Even though greater margins might not make a VAR push your products, the erosion of margins to near zero can cause a VAR to eliminate your product from their portfolio. It’s better to leave a few deals on the table than to risk demotivating your entire reseller network, because there are 6 VAR competitors are bidding (with your product) on every deal in an particular area. The exception to this is if you represent a “core” product that pulls significant service revenue you can get away with a lot more stuff, because the product margins are trivial to the VAR compared to the lucrative service revenue. But in this case, be careful when using your market strength to abuse partners. People have long memories and “what goes around, comes around.” You may not be in such a position of strength forever and you may need those relationships to be very good later. That’s my primer on how to approach, and even more importantly, how NOT to approach doing business with Value-Added Resellers. Post a comment or send me an email to delve into this important topic further. Excellent article. We are now in this same “boat” of trying to forge relationships with VARs. With no experience dealing with them (we have also sold direct), this is certainly is an eye opener. Question: How do you approach them? Where do we find them? They actually aren’t hard to find. There are many lists of them available via list brokers, magazines (VAR Business, CRN, etc). You will also find those focusing on your vertical at industry shows. For a simple starting list, type in the name of your industry followed by VAR into a Google Search. Finding them is actually quite easy; making them a productive channel for your product is another matter. Excellent insight! Your points reflect the type of decision making that executives and owners truly need to consider for small and large businesses alike. I think it should also be noted that these companies need to evaluate if they are able to support the channel over the long term. Must include someone whose focus is to support the resellers’ success; along with access to product education, support, and sales assistance. Companies considering selling via VARs should look beyond just building their channel and make sure that the entire company is committed to supporting it for long term success. Thanks Christine. Excellent comments on companies needing to take a wholistic approach to channel support. Great Article Phil. Could you please tell me some of the good list brokers with whom i can contact to buy the lists – may be for my out bound campaings. Norman, I’d recommend Brian Peiffle. I’ve found him to be reputable and responsive. Great article especially for a start up company, especially creating the demand then if truely a channel friendly company turn the lead to a trusted VAR that you know will or can scratch your back later. How do you go behind or best practices for creating a channel model? Most vendors and manufacturers offer tier level discounts to VAR’s and resellers based on volume sales and commitments but then when the product become popular no one makes money reselling the products especially when the big DMR’s operate on low margins. I think this system is a bit old school. VAR’s need protection for vendors. Marc, thanks for the kind comment. Since I wrote that article, I see the more traditional roles of the VAR such as customization and integration becoming viable with SaaS as newer generation applications come out with more open aspects such as available APIs, rather that the simple “point” applications which most early SaaS applications were. Lastly, a lot of VARs are trying to take control of their own destiny’s with respect the the cloud by becoming hosts or even distributing white-label applications under their own brand. Not so sure whether or not that’s a winning strategy and long term trend or not. On a related note with respect to one of our previous “comment discussions”, I actually spoke to a VC the other day who will still invest in On-Premises software companies–imagine that! I thought of you…. Good insights, Phil. What do you see as the role of VARS as delivery of software migrates to SAAS? If your mentioned system can work?thanks. I’m in the early stage of marketing my product. This article has been quite timely for me. Thanks!